I think it’s safe to say that 2014 has been the year of the blogger. Everyone seems to have finally taken note of the talent that is on offer online through blogs or YouTube and I couldn’t be happier! I find it really refreshing and feel strangely proud that many of the people in our little corner of the internet have become household names and have warranted such success that they have been able to launch their own brand and product lines. This year has seen multiple launches from bloggers, only some of which are photographed above! 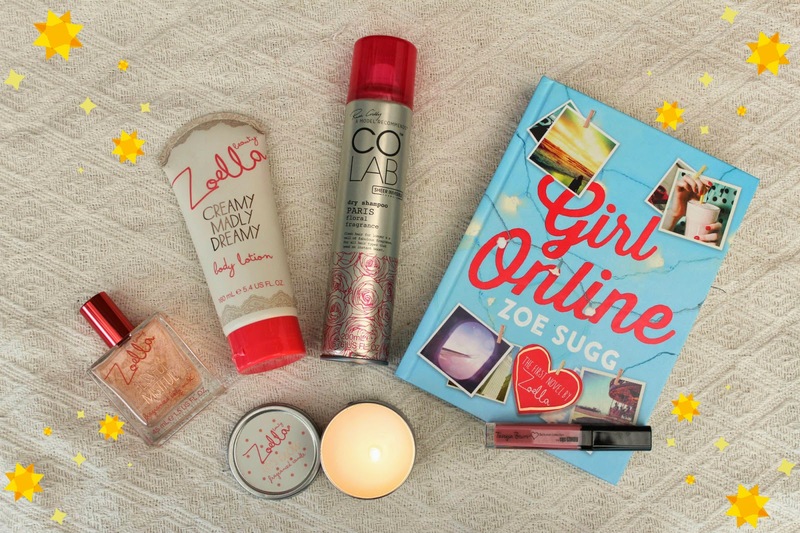 Zoella’s unbelievable success has reigned head and shoulders above the rest this year with the launch of her beauty line and book. All the bad press that has been directed towards her makes me quite simply furious. She seems just a really lovely, normal girl who has achieved this unbelievable success stemming from making videos in her bedroom and yet so many people seem to want to bring her down? Jealous, much? Tanya Burr also extended her beauty range of lip glosses and nail polishes, adding lashes to the offerings. Ruth Crilly from A Model Recommends launched her dry shampoo range Colab that, honestly, it the best I’ve ever used – my favourite is the ‘Paris’ scent. Estee from Essie Button has also just created her own limited edition range with eLuxe, consisting of pyjama tops and a make up bag! I wonder what 2015 will bring? I’m hoping for a Lily Pebbles nail or hair care range for curly hair, or perhaps workout clothes or matte lipsticks courtesy of Anna from Vivianna Does MakeUp? Fingers crossed. Which bloggers would you like to see launch their own products?